Posted on January 18, 2016, in Maps, News, San Diego Riding. Bookmark the permalink. 6 Comments. 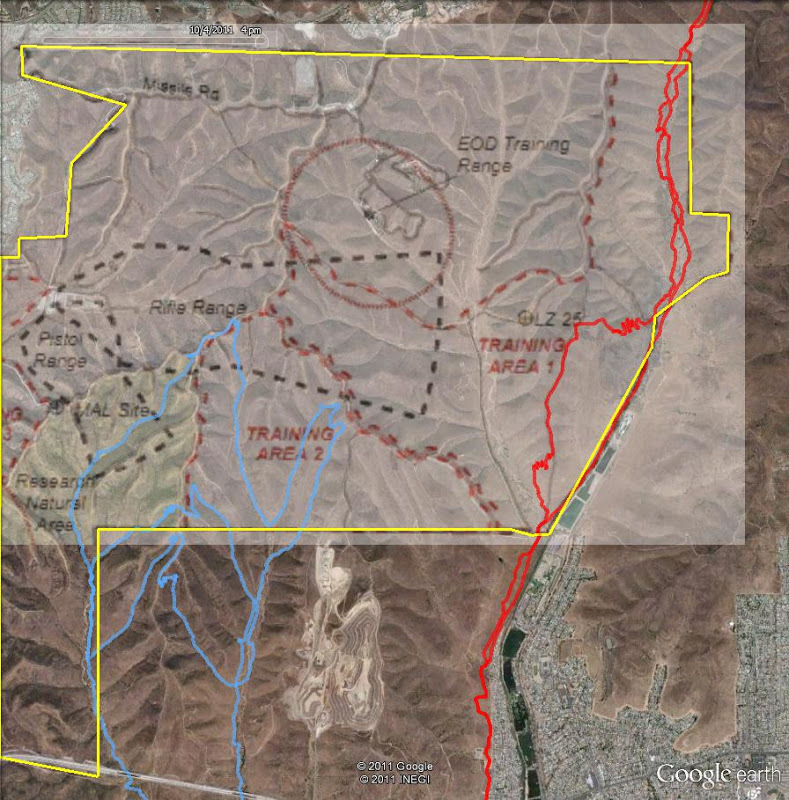 I have my own map I made, but the photo in the post above is straight from SDMBA and the yellow line is the MCAS Miramar bounday, the blue is spring/oak canyon singletracks, the red is the Sycamore Canyon trails. Basically, if you ride any trail from the south to Goodan Ranch gate, you are riding on their propety. I was more interested in what happens to the north. Is Martha’s completely off limits? How about the road from the parking lot to Goodan Ranch, or Cardiac Hill, or the ridgeline from the 67 staging area parking lot? Oh no, not Mike! Well, if south of the Preserve gate, it is an area they are really cracking down on apparently. Bummer for Mike.